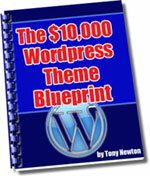 I have just released a new report that details how I made more than $10,000 and built a list of 3500 people by giving away WordPress themes. The idea is a very simple one; you give something away for free (in return for an email address) and then present an offer. In this case I gave away 10 free WordPress themes and then presented the visitor with an offer to buy 100. This can be used with almost anything; it doesn’t have to be WordPress themes. It can be a free report, then a paid version which has more information. It’s certainly nothing new and the method has been used for years but the great thing about it is you are not only making money but building a list at the same time. 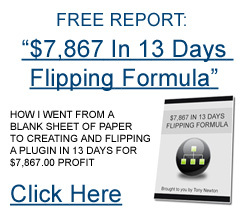 In the report I show several offers I made to the list with PLR products and made 10-20 or more sales for every email I sent out. Seriously, having a list is a hugely powerful tool! So grab the report and take a look. Hope it gives you some ideas of how you can repeat the process.